Baker Hughes is a multinational company operating in over 90 countries world and provides products and services to the oil and gas industry. Baker Hughes announced the closure of its Hartlepool facility which manufactures chemicals for the oilfield markets. 3DI were invited to make offers on some of the equipment which was considered surplus to requirements following the closure. 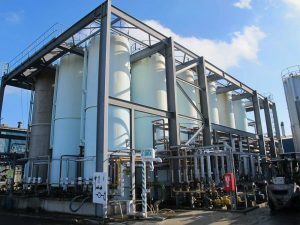 Following a site inspection and negotiations 3DI purchased outright the entire storage tank farm. The tank farm which stored solvents consisted of over 20 tanks constructed from steel and stainless steel. 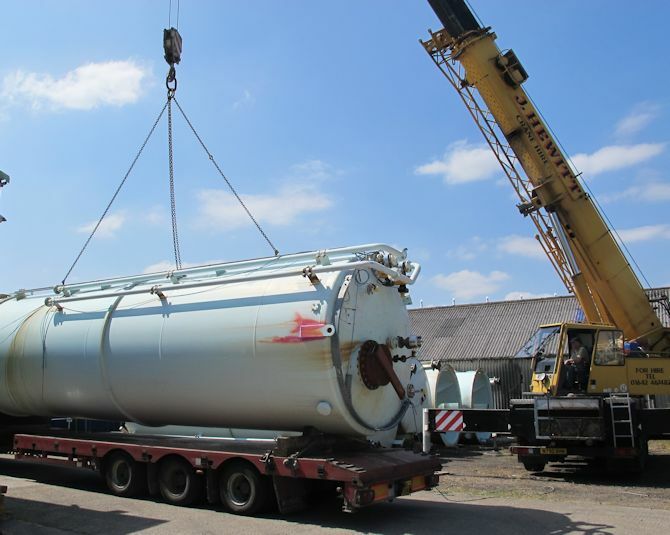 Over the course of a few weeks 3DI removed the tanks from site and transported them into their storage facility for resale.